So who’s ready for christmas then? I’m definitely not! 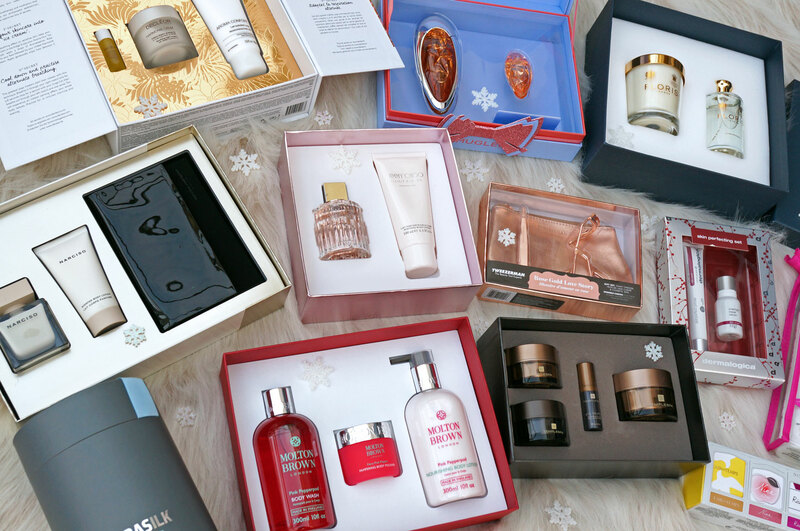 There’s still pretty much a week to go though so there’s still plenty of time to pick up some bits if you need to, and hopefully this luxury gift set gift guide will offer a good dose of inspiration too – enjoy! 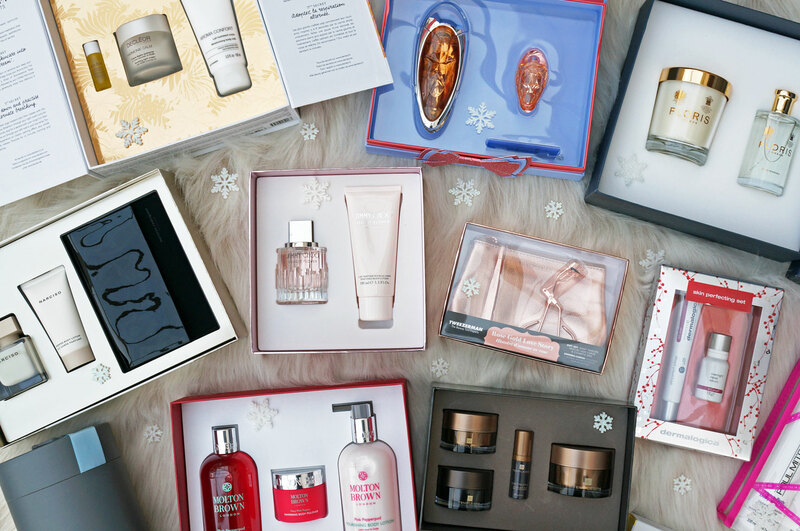 Starting with the Molton Brown Pink Pepperpod Pampering Body Gift Set – I love Molton Brown products, and anyone that loves a pampering soak in the bath would be delighted to receive this set on Christmas day. The Pink Pepperpod Pampering Gift Set contains a generous 300ml Body Wash and a Nourishing Body Lotion of the same size, as well as a 50ml Body Polisher. This set includes everything you need for an ultimate skin-pampering experience, with the alluring aroma of Molton Brown’s signature feminine scent. A fragrance gift set will always go down well as a gift – this Narciso Rodriguez Narciso EDP Gift set contains a beautiful Narciso Rodriguez Narciso Eau de Parfum (50ml), along with a matching scented Body Lotion, and a glossy finish Makeup Pouch. Narciso by Narciso Rodriguez is a fragrance inspired by the elegance of woods and the delicate femininity of a white-flower bouquet combined with the amber notes of a warm heart of musk. If you haven’t tried this yet, I highly recommend that you do! 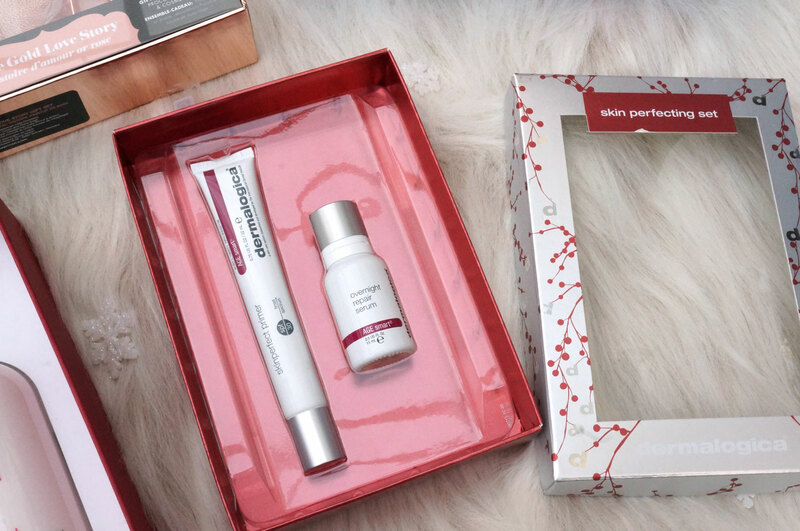 For those into skincare, the Dermalogica Skin Perfecting Set contains everything you need to achieve beautiful, glowing skin both day and night. The set includes a Skin Perfecting Primer SPF30 (22ml) and an Overnight Repair Serum (15ml) which are both full of peptide-rich formulas to keep skin firm and smooth while minimising the visible signs of ageing. Another fragrance option is the wonderful Jimmy Choo Illicit Flower EDT Gift Set – at a very reasonable £40.80 this set offers real value for money as you get a Jimmy Choo Illicit Flower EDT (60ml) and a matching 100ml Body Lotion. If you haven’t heard of Illicit Flower, it’s the newest edition to the Jimmy Choo portfolio – the fragrance opens with voluptuous notes of apricot, zest of mandarin and the floral notes of freesia. In the heart, enhanced by a vibrant duo of grapefruit flower and jasmine, the ultra-feminine rose weaves her charms, whilst delicately wrapped in a soft and sensual musk. In the base, sensual woody notes of cashmeran meet the creaminess of sandalwood to perfectly close the fragrance – it really is gorgeous! 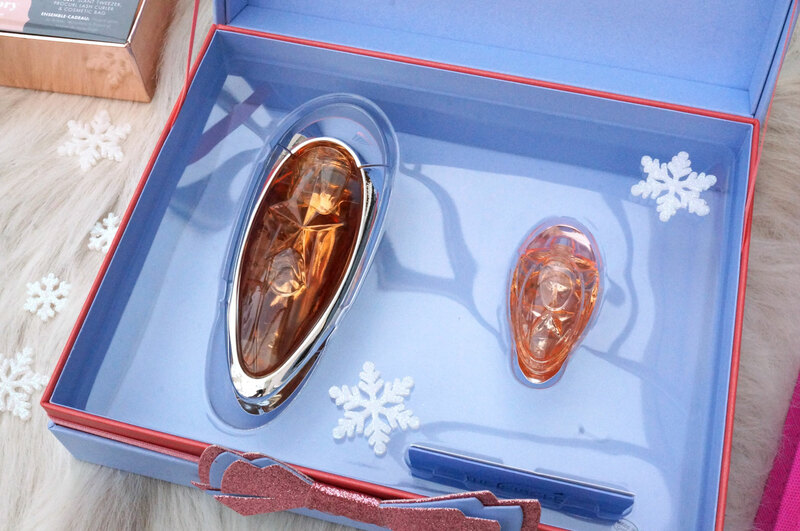 And for those fans of classic scents, the Mugler Angel Muse Gift Set is bound to be a winner. Angel Muse is a vibrant, sensual and addictive fragrance, with sweet notes of juicy grapefruit, pink berries, and smooth hazelnut cream-cocoa blended with vetiver to create a delicious indulgence which ignites the senses. This gift set contains an Angel Muse 50ml refillable EDP and a complimentary 5ml EDP Miniature. 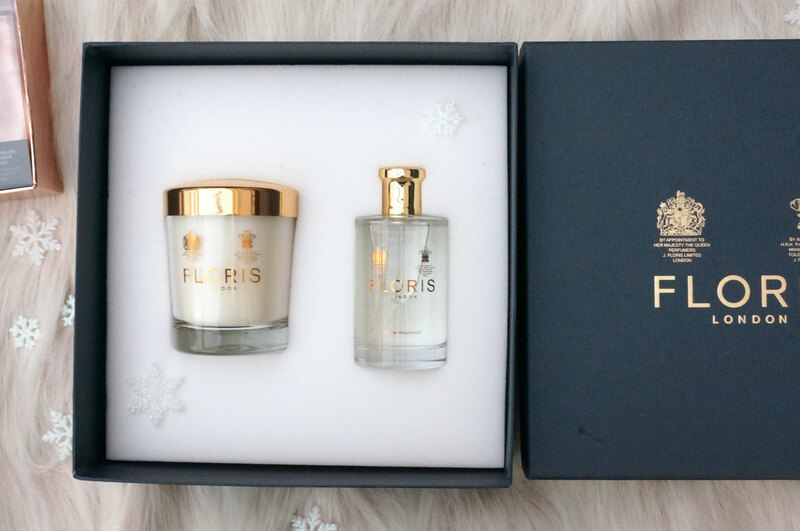 The height of luxury when it comes to home scent, has to be Floris London Rose & Oud Home Fragrance Duo. This luxury gift set includes both the Rose & Oud Luxury Scented Candle and Rose & Oud Room Fragrance presented in a beautiful blue and gold box, fastened with the Floris seal of approval. Opulent floral rose is wrapped around the bold intensity of oud, cinnamon and clove. Calming cedarwood, renowned for its relaxing properties, is supported with transparent musks and warm, smooth sandalwood. A complex blend throughout the fragrance brings in subtle oriental accords that add depth to this home fragrance collection. 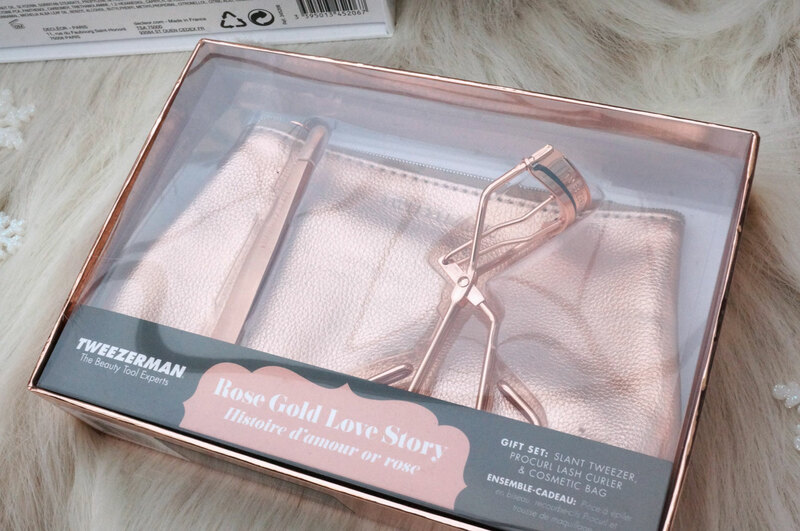 And another kit that really is rather fabulous, but not necessarily a brand you’d consider for gifting – the Tweezerman Rose Gold Love Story Gift Set is a beautiful rose gold coloured set containing a luxury makeup bag, with matching rose gold coloured Slant Tweezers and Procurl Lash Curler. The Decleor Box of Secrets Calm Headspace is a beautiful gift set perfect for those passionate about skincare. The box opens from the centre with two doors, to reveal the Calm Headspace collection inside, which includes some of DECLÉOR’s greatest soothing and moisturising products, to leave you feeling silky and smooth, head to toe. The set contains an Aroma Confort Moisturizing Body Milk (100ml), Aromessence Rose d’Orient Soothing Oil Serum (5ml) and a Harmonie Calm Soothing Light Cream (50ml). 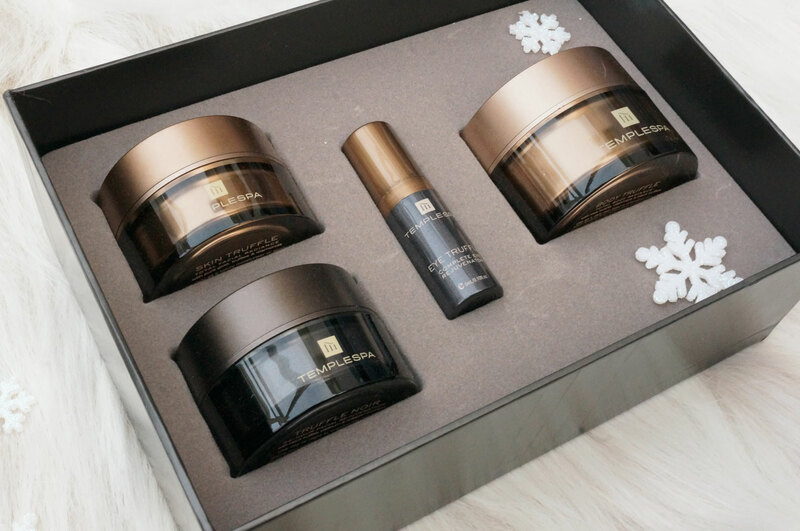 Continuing along the skincare theme, the Temple Spa Truffle Luxe Gift Collection really is luxury at its finest. If you purchase either the Skin Truffle or Truffle Noir, plus the Eye Truffle, then you will receive the Truffesque Masque for free – giving you a rather hefty saving of £50.00! Onto hair now, the Paul Mitchell United In Pink Blow Out Cancer Set is a four-piece collection housed in a handy zipped travel bag. ‘United in Pink’ is a campaign dedicated to supporting Bright Pink, the only national non-profit organisation focused on the prevention and early detection of breast and ovarian cancer in young women. The Set Contains and Extra-Body Daily Shampoo (300ml), and Extra-Body Daily Rinse (300ml), a Thicken Up Spray (200ml), and a Sculpting Brush. This is a fantastic gift with the added bonus of supporting a very worthwhile cause. 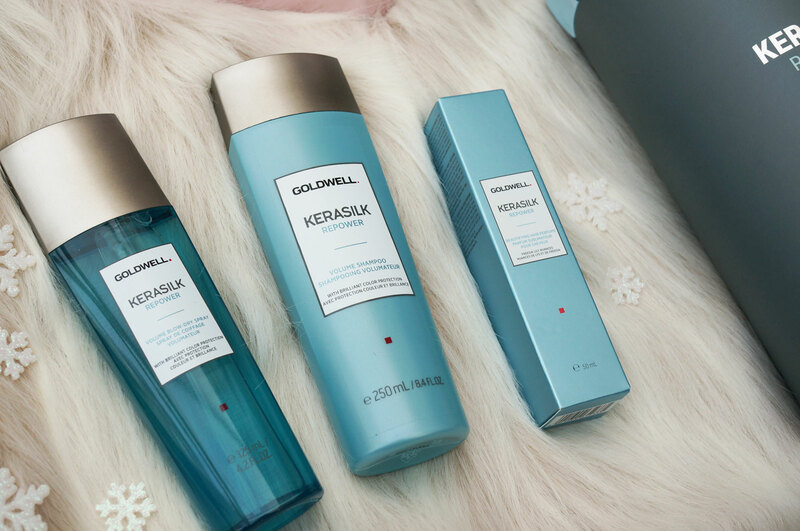 The Goldwell Kerasilk Repower Volume Gift Set is another option for those looking to give their locks an extra boost. Described as the ultimate luxury gift set, this kit contains a selection of high end hair products for those looking for added volume – the set includes a Kerasilk Re-power Volume Shampoo (250ml), Kerasilk Re-power Blow-Dry Spray (125ml), and a Kerasilk Re-Power Beautifying Perfume (50ml). And lastly, for those that can’t decide on a scent, the Nina Ricci Minature Set would be just perfect. 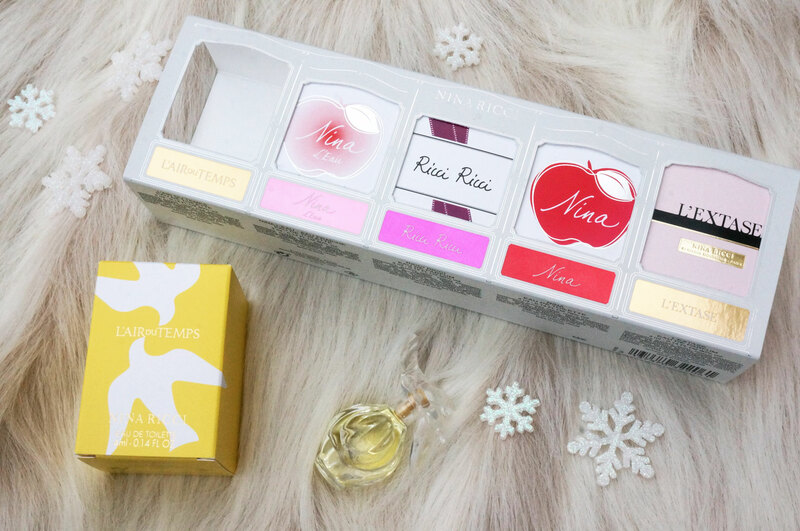 This sweet little gift set contains four of Nina Ricci’s most popular fragrances, in super sweet miniature form – the set includes Nina EDT, Nina L’Eau EDT, Ricci Ricci EDP, L’Air du Temps EDT and L’Extase EDP. Previous Post TSNC Advent Giveaway: 12 Days of Christmas Alcohol Gift Box!